The Sayaji Baug garden in central Vadodara, spread over 46 hectares, is often called the lung of the city. 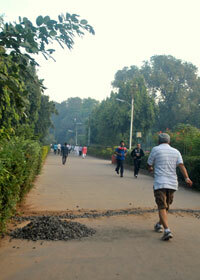 People who visit the park for their morning jog recently found a screen erected a few feet from the jogging track. Deepak Mehta, resident from a nearby locality, and his friends decided to inquire into the matter. They found that a multimedia laser fountain was to be built inside the park, also known as Kamati Baug. The Sayaji Baug was gifted to the citizens of Vadodara in 1879 by the erstwhile maharaja, Sayaji Rao Gaekwad III. 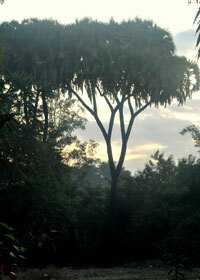 It is the largest garden in western India, flanking the Vishwamitri river. The garden area includes the Baroda Museum and Picture Gallery, the Sardar Patel Planetarium, and Sayaji Baug Zoo. It is a green retreat in the bustling city; every day abut 2,000 people visit the park to walk, jog, play or simply laze around. The Vadodara Municipal Corporation (VMC) is charged with the management and maintenance of the park. 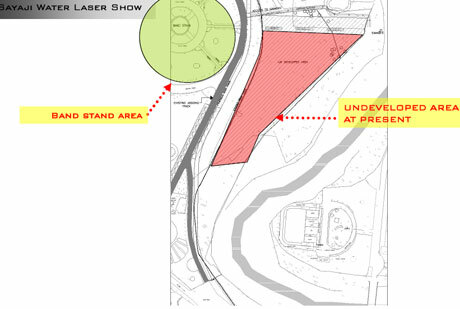 The proposed laser fountain project was a venture of VMC and Cube Construction Engineering Ltd. When residents came to know about this project in early November, they started a sustained campaign to get the project scrapped. Deepak Mehta, who has been spearheading the campaign, has formed the Save Kamati Baug Association that now has about 30,000 members. In the face of stiff resistance, VMC announced scrapping of the project on November 25. The screens have been removed from the park but people are still uncertain if this is the last they have heard about the project. According to V R Shekhalia, director of parks and recreation with VMC, the general body will take a decision about the project after Gujarat elections. Smit Shah, project manager with Cube Construction echoed the words of Shekhalia when asked about the status of the project. The company was awarded the tender in September this year for constructing a laser fountain and associated developments, such as sitting area and pool in the park. The area for the proposed project stretches over 1.21 ha between the jogging track and the Vishwamitri river; it comprised 65 per cent landscape, 20 per cent construction and 20 per cent hard-scape, as indicated by Shah of Cube Construction. The total project cost is about Rs 19.5 crore. Visitors were to be charged Rs 60 per head per show. The public-private partnership was a 20 year contract between VMC and Cube Construction. From year 1 to 8, VMC was to receive Rs 8 lakh per annum (which equals fee that would be charged from just 37 people visiting a show in one day), and thereafter Rs 30 lakh per annum. Residents living around the park say they are not opposed to a laser fountain, but to its location in a heritage park, which is also the largest urban green space in the heart of the city. According to M H Mehta, former vice chancellor of Gujarat Agricultural University, “Sayaji Baug has a huge diversity of plant species, comprising a variety of trees, shrubs, creepers and rare species like the Baroda palm. The project with increased visitors in the park and associated developments will certainly put pressure on the park ecosystem.” Cassim M Unia, senate member of Maharaja Sayajirao University, says that there are several vacant areas in the city that can be considered for such projects by VMC, but they just take the easy way. Ajit Singh Gaikowad, an engineer who works with the city traffic management, is concerned by the extra traffic and parking congestion around the park that the project entails. On a typical evening, all the parking spots around the park remain full. Without any plan for absorbing the additional cars, the project can cause nuisance. 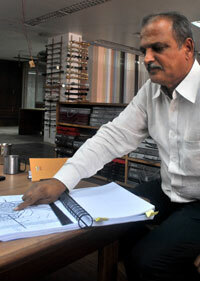 Seconding his concern is Shishir Raval, ecological planner and landscape architect. He said the project will adversely affect the ecological, cultural and visual integrity of the park. “The laser fountain show can bring excitement and adventure to the park, but it will compromise the calm and relaxing natural atmosphere that citizens have enjoyed for a long time and that is what the park was meant for. Moreover, imposing a fee, even if for the laser show, undermines the philosophy of the public space that was intended to be enjoyed by all for free,” he said. Citizens are also concerned about the long-term implication of such a project. “Once this process starts, many other portions of the park might be given away in the future for private interests in the name of development and maintenance of the park,” says Sheetal Mehta, a businessperson of Vadodara. 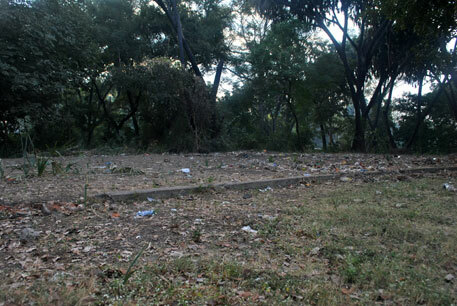 He and Deepak Mehta alleged that the municipality has been purposefully neglecting maintaining parts of the park, so that those areas can be handed over to private parties for development and the municipality can financially benefit from the same. Distrust about the functioning of the municipality and lack of transparency about VMC's future plans for Sayaji Baug has made people suspicious. Though officials of VMC, including the deputy municipal commissioner R K Sugoor, the officer in charge of the project, chose to remain silent about the project in view of the elections, the corporation’s leaning towards the project is quite clear. “Such developments are happening in a lot of places and this is just one of them,” said Shekhalia. Moreover, trees have been planted in the park every now and then which compensates any concern about cutting down trees for the project. Citizens, however, remain adamant about not allowing any firm to take over Sayaji Baug. “If the municipality cannot fulfill its responsibility of maintaining such an important public space that Vadodara has been proud of since generations, we are willing to take up the challenge,” said Deepak Mehta. The residents are preparing a citizens’ charter on the issue and they are waiting to talk with officials as soon as elections are over. Much have been talked about to preserve nature but still authority trying to commercialise natural area of Kamati baug which is not at all accepatable to me or any barodian.